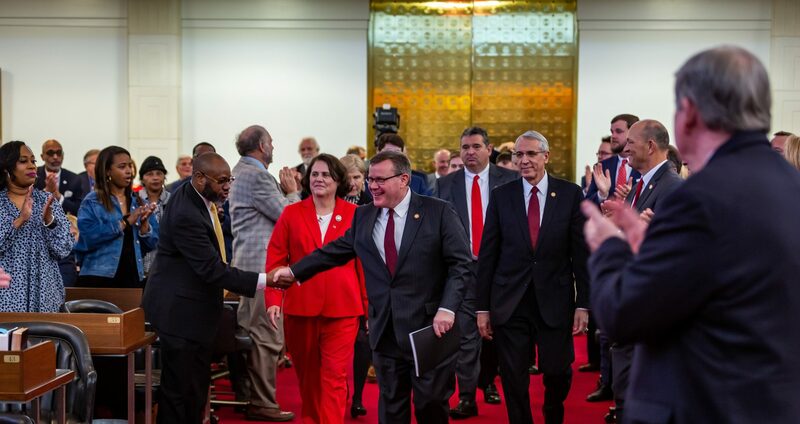 Raleigh, N.C. – State House Speaker Tim Moore (R-Cleveland) reauthorized the House Select Committee on School Safety on Thursday to maintain a proactive approach to improving the security of schools and ensuring safety for millions of young North Carolinians. 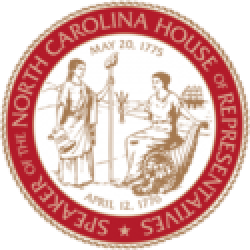 The reauthorized House Select Committee on School Safety Committee consists of 55 members and is led by Chairman David R. Lewis (R-Harnett) and Chairman John A. Torbett (R-Gaston). The committee will continue to collect input from experts in the fields of education, law enforcement, mental health, crisis management, and other sectors to study best practices and secure educational communities. The committee, which helped produce a $35 million package of safety investments for North Carolina schools in 2018, will issue an interim report and recommend proposed legislation by May 1, 2020. Chairman David Lewis said he is pleased to see progress being made in the legislature to seriously consider the recommendations that the Committee introduced in its report last session, but recognizes that there is more to be done. “We will continue moving forward with legislative actions that make a real impact to secure our schools and keep our children safe,” Lewis said. The state House Select Committee on School Safety will continue to study issues related to current safety standards and procedures, mental health, and school mental health personnel in elementary and secondary schools. Speaker Moore first appointed the committee in February 2018 following the murder of seventeen people at Marjory Stoneman Douglas High School in Parkland, Florida. The panel traveled across North Carolina last year holding forums for local officials following a series of working group meetings in Raleigh. Chairman John Torbett said he is anxious to continue the committee’s work advancing issues related to safety and mental health for North Carolina institutions of higher education. 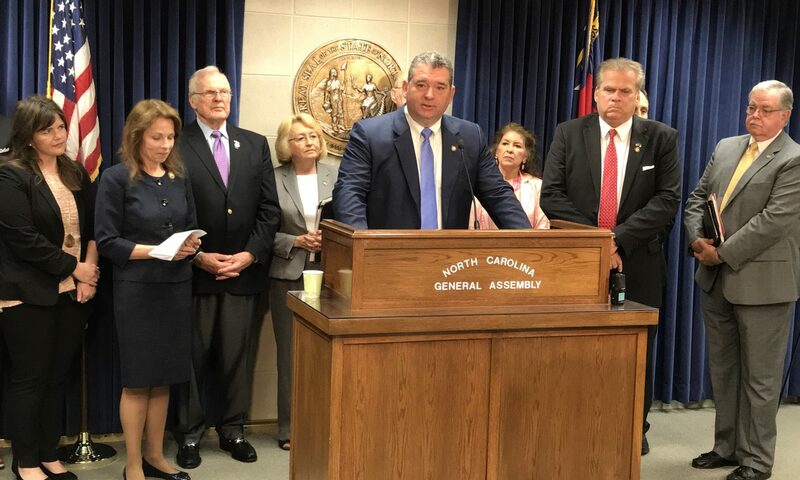 “The youth of North Carolina deserve nothing less than complete confidence in their safety as they further their education in the classroom,” Torbett said. The committee chairs said the school safety panel will consult with educators, local governments, community colleges, law enforcement, independent colleges and universities, and constituent institutions of The University of North Carolina on processes and procedures that have proven useful in school safety scenarios. The stakeholders and experts will provide perspective on school safety in higher education and best practices to achieve these goals. “We are thankful for the opportunity to offer legislative solutions to make North Carolina a model of school safety to the rest of the country,” Lewis said. Following the committee’s interim report and proposed legislation released on May 1, 2020, a final report on the results of its study, including any additional proposed legislation, will be presented to the state House by December 31, 2020.